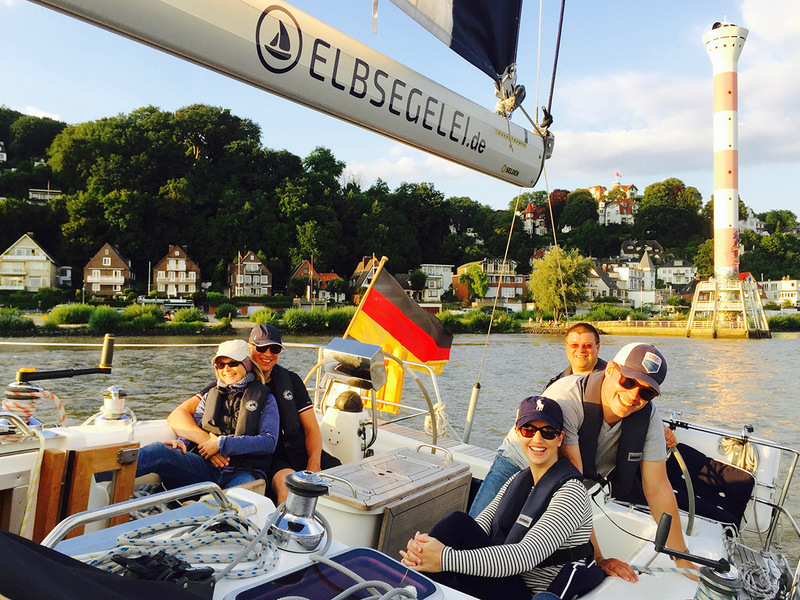 Sailing trips with Elbsegelei ensure a chance to enjoy Elba on a half-, full-, or sunset trip. 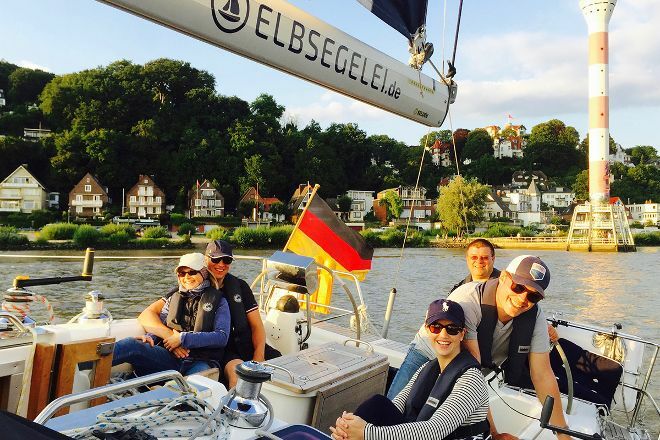 The operator runs trips for those with no sailing experiences, in small groups ideal for one of Germany's most challenging and diverse rivers. The professional skipper will guide you on a sailing yacht that can be used for private tours, team events, incentives, and more. Go to the website for further details and/or contact the operator directly for booking and other information. Put Elbsegelei and other Hamburg attractions into our Hamburg visit website , and watch your holiday take shape. Sunday, gorgeous weather, port birthday! 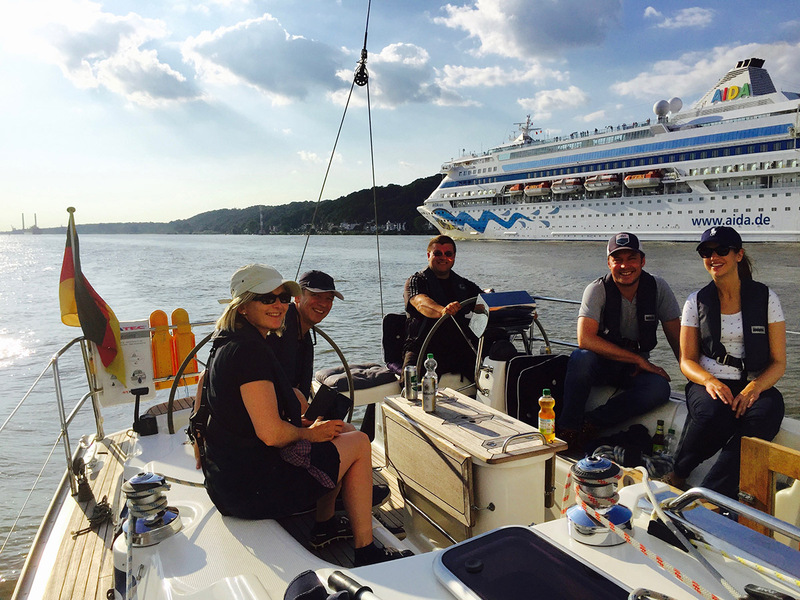 A warm welcome in Wedel, common response to the sailing yacht, charming introduction to all safety-related things and the yacht and then it was also out on the Elbe. Holger (skipper) has to do it brilliantly understood to combine all with experienced sailors, who do not want or can may also just sit and enjoy. We are high then the Elbe towards the port and this one has a wonderful view on the stretches of beach, adjacent municipalities and of course on the docks. By the birthday of the port was of course fully with many ships, Crusaders, sailors, container ships etc. and it is just very close it :-) Against 18: 00 all in the port ships to the spout parade have set up and we were even here in the Middle, that was just fantastic! To see the crowds of people along the piers from the water was too exciting. Then it was back again relaxed direction Wedel and ended in the Harbour and a beautiful day with a very sovereign skipper and many nice people here. I will make this again this summer in any case! Sckickes Boot, cooler Skipper und großartige Tour!!! Sckickes boat, cooler skipper and Grand Tour! Wir hatten mit und Dank Holger einen wunderschönen und unvergesslichen Tag! Wir können diesen Skipper und dieses Unternehmen nur weiterempfehlen! We had and thanks to Holger one beautiful and unforgettable day! We can only recommend this skipper and this company! Irrer Typ mit gutem Schiff und Geschick!!! Mistaken type with good ship and skill!!! Every day, we help thousands of travelers plan great vacations. Here are some tips on how to use your Listing Page to attract more travelers to your business - Elbsegelei. Promote your permanent link - https://www.inspirock.com/germany/hamburg/elbsegelei-a1452157251 - on your website, your blog, and social media. When a traveler builds a plan from this page, the itinerary automatically includes Elbsegelei. 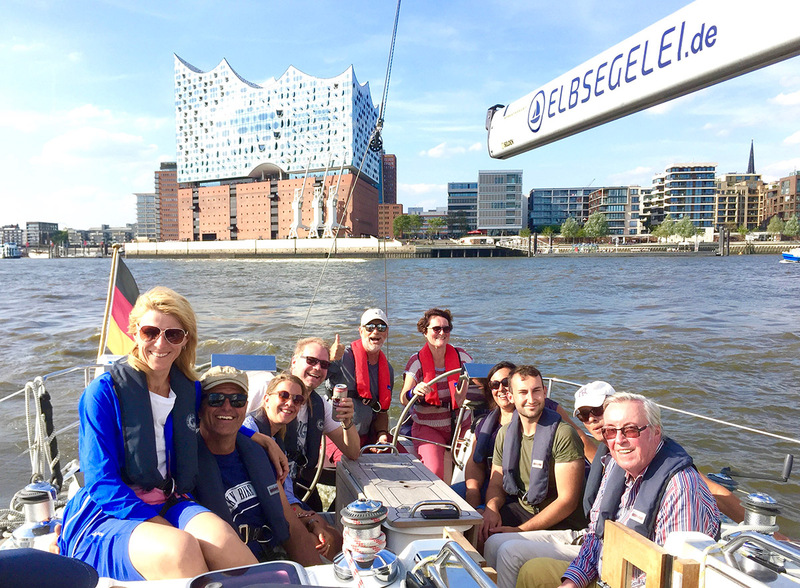 This is a great way for travelers looking for a great vacation in your city or country to also experience Elbsegelei. Promoting your link also lets your audience know that you are featured on a rapidly growing travel site. In addition, the more this page is used, the more we will promote Elbsegelei to other Inspirock users. For best results, use the customized Trip Planning Widget for Elbsegelei on your website. It has all the advantages mentioned above, plus users to your site can conveniently access it directly on your site. Visitors to your site will appreciate you offering them help with planning their vacation. Setting this up takes just a few minutes - Click here for instructions.